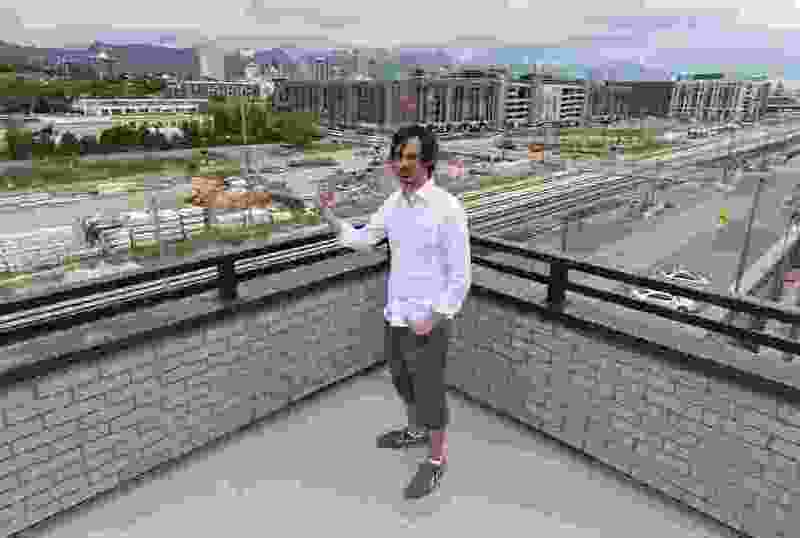 (Francisco Kjolseth | The Salt Lake Tribune) Chris Parker, who has been involved with Project Open, an affordable housing project northwest of downtown Salt Lake City, talks about "democratizing" the two best views from the building as a way to encourage tenants to meet and make friends with their neighbors on Thursday, May 10, 2018. Parker spent a year living on minimum wage, and then on the streets and in a van, to get a better idea of how to help those with more limited resources. 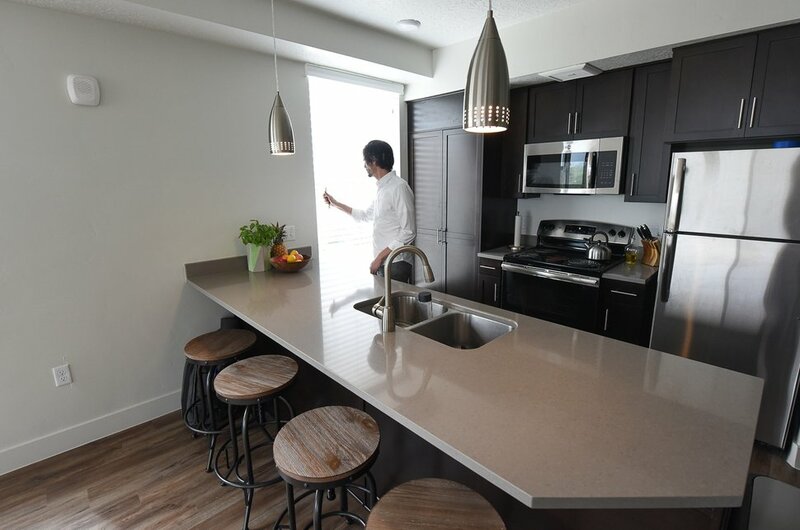 When Chris Parker embarked on his company’s latest affordable housing project, he wanted to better understand the experience of the people who would live in his units. So Parker spent a year attempting — as well as one can — to walk in the shoes of a low-income Utahn. For a year, he lived on minimum wage in one of his apartments. Then he spent a month in a van and his last month in a shelter or on the streets. Parker is the first to admit that he can’t replicate true poverty — if he missed his bus, for example, he wasn’t going to lose his job. That year of living on the edge identified the challenges — the “pain points,” as he put it — that informed his company’s approach to its new affordable housing development, Project Open, and produced a project that is very different from the massive, boxy buildings sprouting up around Salt Lake City. 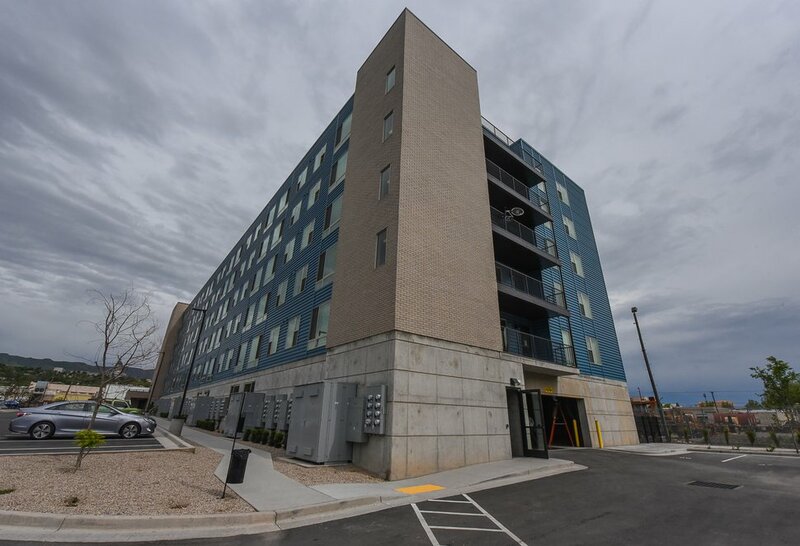 (Francisco Kjolseth | The Salt Lake Tribune) Project Open, an affordable housing project northwest of downtown Salt Lake City, is the first of six phases planned for 500 West. Close to the TRAX line there is the idea of offering the use of an electric vehicle share as part of a package deal for those times when public transportation is not convenient for people who don't own a car. For example, what happens when the old clunker finally breaks down? Does a resident skip groceries or rent to fix the car so he or she can keep a job? Project Open offers a rideshare option and public transit passes to help renters deal with transportation issues. The first floor will have vending machines with healthier meal options to alleviate dependence on fast food in a pinch in what is still largely considered a food desert. Between the solar panels on the roof and power purchased from an offsite Rocky Mountain Power solar farm, the building is completely powered by the sun, with no gas hookup and no emissions. And every parking stall is wired and capable of being equipped with electric car charging ports. “Our population is supposed to double in 20 or 25 years, and if our inversion doubles with that, it’s not going to be pleasant in January,” Parker said. 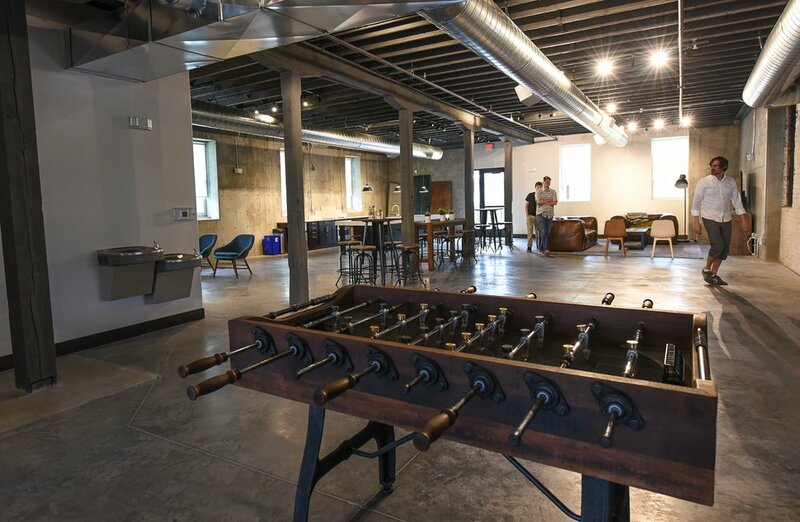 The layout is focused on creating a community and preventing isolation, with common areas and an old brick furniture warehouse converted into a cozy clubhouse and exercise room, plus 14 artist studios upstairs. The building itself stands just across the railroad tracks in Salt Lake City’s Guadalupe neighborhood. The communal balcony looks east across the tracks at 400 West, a massive apartment complex with rents in excess of $2,200 per month. By contrast, 81 of Project Open’s 112 units are dedicated for low-income renters, five of them specifically for people coming out of shelters or off the streets, with prices starting as low as $350. (Francisco Kjolseth | The Salt Lake Tribune) Chris Parker, who has been involved with Project Open, an affordable housing project northwest of downtown Salt Lake City, gives a tour of one of the 22-foot-wide apartment units on Thursday, May 10, 2018. Three affordable payment tiers offer options starting at $350 a month. Parker spent a year living on minimum wage, and then on the streets and in a van, to get a better idea of how to help those with more limited resources. “This is the literal front lines of gentrification in the city,” Parker said. He sees Project Open and its next phases as a bulwark, of sorts, a community that is more inviting, engaging and affordable and that retains the historic character of the neighborhood. In the Guadalupe neighborhood, GIV has lined up land for four or possibly five more phases that will include larger two- and three-bedroom apartments, implementing lessons learned from Phase One. A new nonprofit, the Equitable Housing and Livability Institute, will track the initiatives to see how they work. Do people buy food from the machines? How much energy is being consumed or saved? How is the rideshare utilized? And it will attempt to measure more holistic questions about residents’ overall happiness and sense of community. Sure, it’s all a little touchy-feely, but the city needs all the affordable housing it can get. A recent report from the Kem C. Gardner Policy Institute at the University of Utah found that housing costs in Utah have grown at the fourth-highest rate of any state in the country. (Francisco Kjolseth | The Salt Lake Tribune) Chris Parker, who has been involved with Project Open, an affordable housing project northwest of downtown Salt Lake City, gives a tour of the clubhouse, a former furniture warehouse that sits adjacent to the housing project on Thursday, May 10, 2018. Parker spent a year living on minimum wage, and then on the streets and in a van, to get a better idea of how to help those with more limited resources. The vacancy rate for apartments is at or near a 10-year low. Earlier studies identified an unmet need of roughly 48,000 units. For obvious reasons, the shortage hits low-income Utahns especially hard. As the city tries to build its way out of this hole, the GIV pilot could serve as a model for doing it the right way — building affordable, environmentally friendly housing while maintaining community cohesion and neighborhood identities.